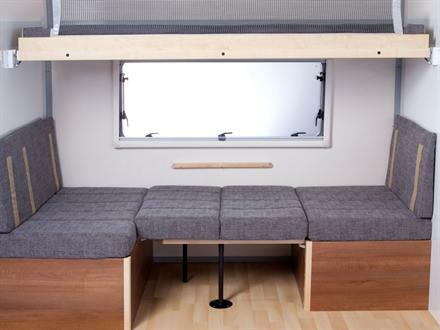 The Eventa is a modern, stylish trailer for owners wishing to travel further and stay overnight in comfortable accommodation. 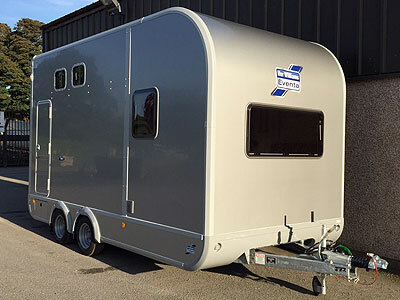 Bronze, Silver or Gold finish is available. 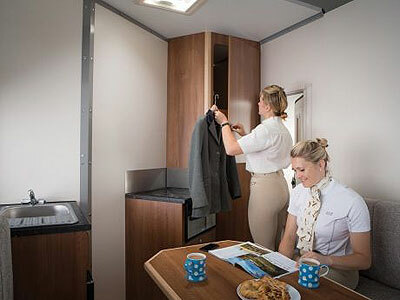 Hot water, hot air heating and TV are options with the Gold which ensure travelling away with your horse really is your home from home. 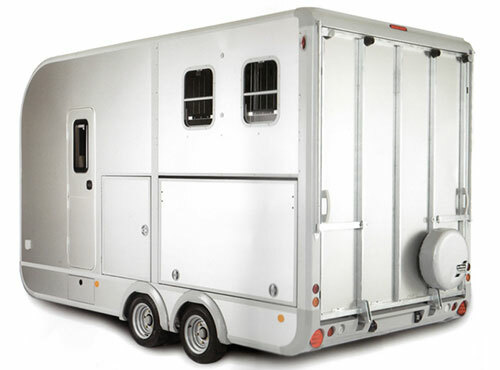 The trailer comes in 2 sizes: the Eventa M and the Eventa L.
Eventa L can carry 2 horses/3 ponies (dependent on weight.) 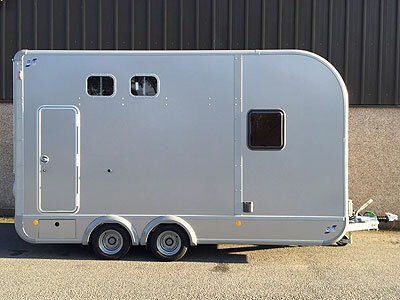 The Eventa L is suitable for a 17hh horse as the storage locker is not present on this model. 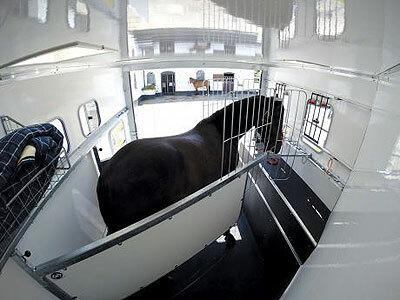 Sliding windows on both sides of the trailer allows lots of light along with plenty of ventilation for your horses. 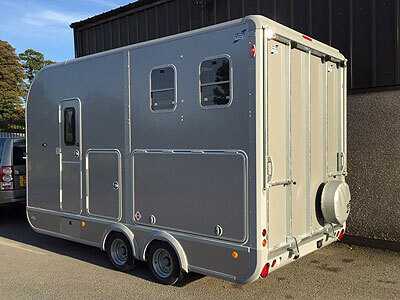 New for Ifor Williams is herringbone travel for your horse with a newly designed partitioning system built with safety in mind. 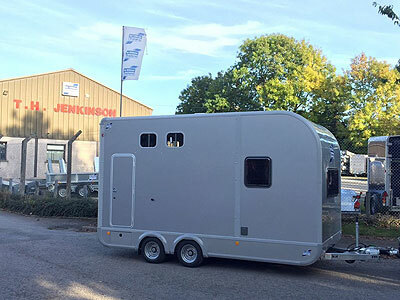 This trailer is ready for immediate delivery. Phone for an extremely competitive price today.